It’s not often that I get really excited by a product. Yes, most of what I write about is very positive as I genuinely really like 90% of the things I try for review. However I don’t often get blown away by something unless it is genuinely innovative, useful or truly changes my beauty routine. Well Eco Tools‘ range of makeup brushes has succeeded where others have failed: I’ve been itching to blog about them since the first moment I used them. Eco Tools is a brand which sells a range of makeup brushes, bath accessories and skincare products and holds the mantra Earth Friendly Beauty. This means their products are made with highly sustainable and recyclable materials which leave as little impact on the earth as possible i.e. they’re eco friendly. I was sent a number of their makeup brushes to trial, which were the first products developed by the brand; the skincare and other products came later. So what makes these brushes ‘earth friendly’? 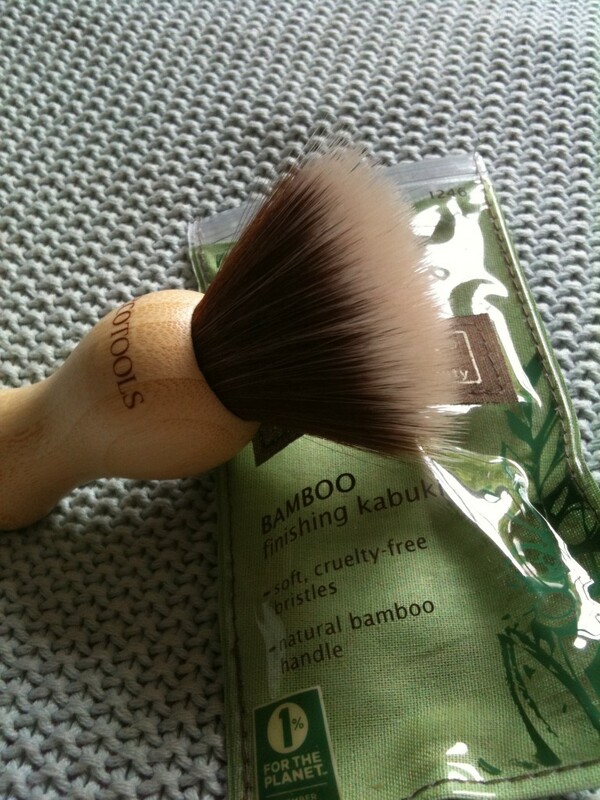 The brush handles are made with highly sustainable bamboo, the aluminium on their retractable brushes is made from recycled materials, and the bristles are 100% cruelty free (made of synthetic taklon). Also, something which is really amazing and inspiring to me (other brands take note! ), is that Eco Tools is part of the initiative 1% for the Planet, whereby they donate 1% of their revenue each year to environmental causes; they’ve chosen EarthShare® and the Wildlife Alliance. Find out more about the charities and Eco Tools’ work with them here. This is a wonderful thing in my opinion and makes me like the brand ethic through and through. They’re clearly not just jumping on the eco band wagon as a sales tactic, but have really thought about how to make beauty products eco friendly and have a true commitment to preserving the planet. But above and beyond their ethics and production techniques, what’s really important, as with any beauty product, is that it works! And I have to say I was seriously impressed. From the moment I opened my parcel I was oooo-ing and ahhh-ing at the lovely packaging, and from the moment I felt the brush bristles (the real crux of the product) on my skin, I was in love. They are the softest brushes I have EVER used! Beautifully soft in fact; they do not scratch or irritate my skin at all, even when blending in a heavy look on the sensitive eye area. Beyond the softness of the bristles, the brushes are a delight to use in every way. They are beautiful to look at and to touch. Everything about the experience is tactile and graceful, making my makeup routine in the morning more pleasurable. And they are useful too. Eco Tools hasn’t just replaced the standard brush set you might have with an eco friendly version; they’ve gone beyond that and really thought about our needs when applying makeup and have come up with designs and products which reflect those needs. Take their Smudge Eyeliner Brush for example. 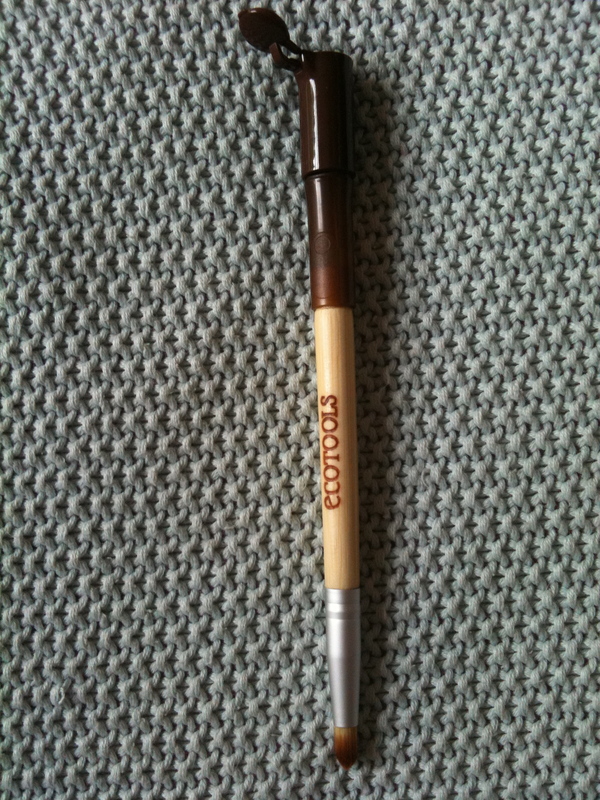 This little beauty not only has a lovely soft and very workable brush, great for blending smokey eye looks and softening eyeliner, the clever people at Eco Tools have also added a pencil sharpener at the other end with a removable lid that flips opens up so you can empty out your pencil sharpenings and prevent them spilling in your makeup bag when it’s closed. Genius! From the brush range I was sent the Smudge Eyeliner Brush (£4.99) mentioned above, plus the 6 Piece Brush Set (£15.31), and the Finishing Kabuki Brush, which I can’t seem to find on their website or on Boots but there’a picture below. All of them are lovely and soft, beautiful to use and very effective. I suppose the one I don’t get as much use out of is the kabuki brush, as it’s just not something I’ve really used before. It is for applying bronzer, powder or blusher and the purpose is to give a very sheer finish; the bristles thin and fan out at the end so it’s a very light touch. It feels lovely on my skin but I don’t have much use for it as I don’t go for a very subtle look really (not that I overdo it but I do like contouring and a nice colour on my cheeks). I need something a bit more compact for applying my bronzer and blusher therefore, which the Blush Brush in the 6 piece set is perfectly suited for. The 6 Piece Brush Set includes a Blush Brush, Eye Shading Brush, Eyeliner Brush, Lash and Brow Groomer and Concealer Brush and it comes in a hemp and cotton mix roll, great for travel. 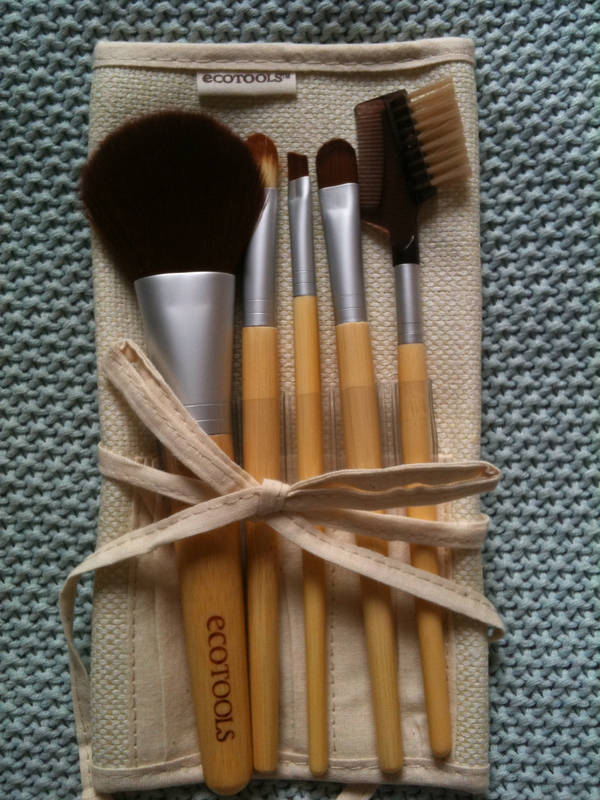 This is a great starter kit if you are in need of some new brushes and want to give Eco Tools a try. You can easily do a complete makeup look with those brushes alone. Plus £15.31 for 5 brushes and a carry roll is quite frankly a bargain. You’d easily pay that for one brush alone from most professional or department store brands. So, there you have it. I highly recommend Eco Tools. They’re a pleasure to use and a brand whose ethics I really admire, which is a tough combination to find. 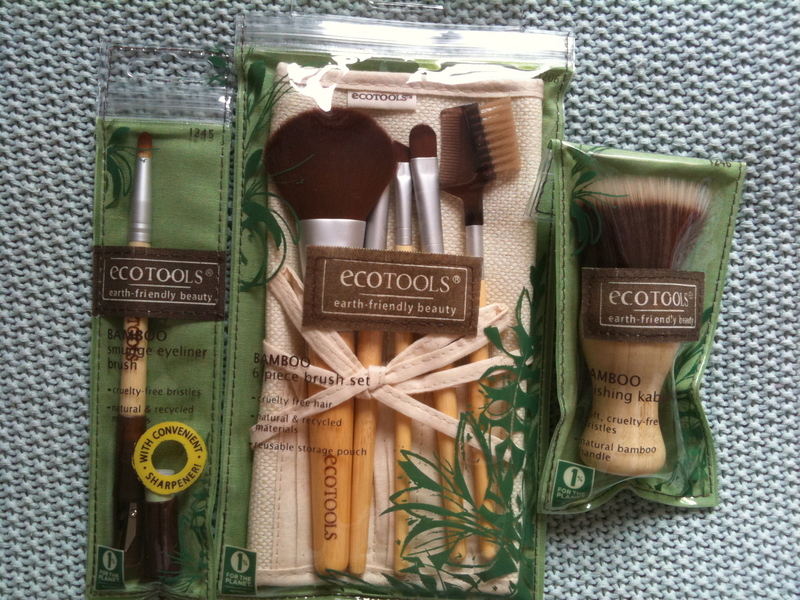 Eco Tools products are available at Boots.com. Prices start from just £4.99. This entry was posted in Face, Healing Products, Makeup and tagged brushes, eco, eco tools, makeup. Bookmark the permalink. ← Happy (Belated) Birthday Blog! How do you find this products. You are doing an amazing job so we can have products like this. Thank you.